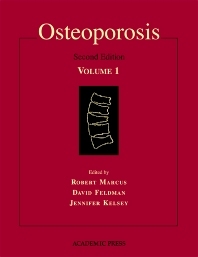 Osteoporosis is the most comprehensive, authoritative reference on this disease. Some of the topics covered include basic biology, anatomy, physiology, pathophysiology, preclinical issues, experimental medicine, management, and therapeutics. Written by renowned experts in this field, this book is a must-have for the researcher, the academic clinician, or anyone in the field of bone biology. Researchers, professionals, and academic clinicians in bone, endocrinology, and related disciplines.